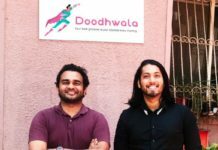 Bengaluru-based deal-making platform LetsVenture has launched LetsGrow, to facilitate seed-stage startups to series A/B by helping them identify the right metrics to propel VC for their follow-on rounds. It is looking to achieve growth stage rounds for startups between $1 million to $5 million. 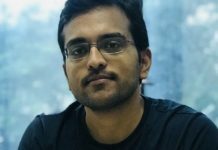 LetsVenture’s new initiative LetsGrow will be headed by Vivek Khare, a strategic advisor at LetsVenture. In a career spanning 24 years, he has scaled up various companies and has been part of companies that failed to scale-up, understanding the reason behind them. He has been an angel investor in various successful Indian startups including Zomato, Meritnation, and Cashify, showcasing his understanding of the Indian startup ecosystem. LetsVenture was founded by Shanti Mohan and Sanjay Jha in 2013. It provides a platform for entrepreneurs to raise capital from enthusiastic and visionary investors. The platform is backed by industry’s leading investors and entrepreneurs like Nandan Nilekani, Ratan Tata, and TV Mohandas Pai. The platform claims to have more than 7,500 connections and over 2,500 investors, enabling 170 funding rounds worth $70 million. The total current value of LetsVenture’s portfolio companies stands at around ₹3,910 crores ($550 million). Some of the prominent startups in its portfolio include TestBook, DailyNinja, and MyUpchar, among many others. Currently, LetVenture works with 125 family offices & corporates, and over 100 funds to facilitate the larger deal size of LetsGrow via the LV titans platform. Top venture capital firms that have invested in the platform’s portfolio companies include SAIF Partners, Sequoia Capital, Matrix Partners, BEENEXT, Shunwei Capital, Nexus Venture Partners, Omidyar Network, and Orios Venture Partners, among many others.